game-winning mullet had the most liked content! Play the Super Nintendo version and use your goalie. Solved! Hehe. Do y'all still have trouble even in those ROMs with a dedicated instantaneous button? Type to us about the costs of viewing, please. It is aleady four- (five-) player... but I agree with a desire to see it rebuilt, like Lunar Magic or Zelda Classic -- a recreation built from the ground up that allows for custom game creation. At that point we could all tweak it to our own preferences down to minute details. It would take a special genius to spearhead such an effort. 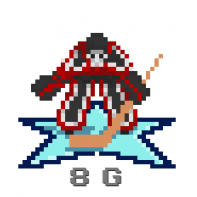 "NHL 199x." I think I found his fairly obvious email address on google's popular server. Maybe he would work in exile toward the greater good. I think we should at least ask. Nobody has done expansion beyond 28 teams for the Super Nintendo, correct? They do lots of borderline intellectual property theft and they do it really well. They have been around for at least six years. Are they making an image of AJ on the digital ice? I am probably not off to a great start by reaching right away for this third rail of a topic, but seeing as I was a LONG-time lurker and I don't really have much to contribute myself, I'll knowingly touch it at my own risk. Is Trudat permabanned? Is there another member willing (and able) to revive the Ninety Flow series? My reading of events seems to confirm a "yes" to the first, an "unlikely" to the second, but I put my positivity toward changing at least that second one. We could use a party-in-the-back hero to take care of the business. I am not experienced in more than playing the ROMs, so this is NOT me volunteering... more hoping there is a plan to revive the Super Nintendo side of this site, which seems to have been propped up on a single pillar that was intentionally pulled. That dude didn't seem TO ME to be toxic... more bullied. Regardless of where the truth lies, it is a shame that the contributions came to an end. Is there somebody waiting on the bench to substitute in? Surely somebody understands that ROM mapping thread well enough to step up. There are many rookies and second-year players that I wish to see on the Nintendo ice and the last ROM was amazing -- can we have something like that again, building off of that last one? Stefan, PenguinFan... do either/both of you feel capable of leading such a project? Would you want to take that on? Is there anybody in touch with Trudat still? His profile used to say that he was banned. (He is seemingly not in the Facebook group anymore, either.) Is there any hope of reconciliation with that guy? Alright... I am just planting that seed and watering it with hope. I think we would be better off with somebody... ANYBODY... making Nintendo ROMs again. I would love to skate Vegas, wouldn't you? Thank you in advance for taking this as it is intended. (I definitely am not wishing for a bench-clearing brawl.) Here is to revival around here! With love, game-winning mullet. This LONG-time lurker had something to post, but forgets what it was. It was probably something related to the Super Nintendo or ROMs for emulators of it. Anyway, "hi, everybody!" edited in: I remembered what I wanted to ask. I touched my tongue to that third rail! Wish me luck?